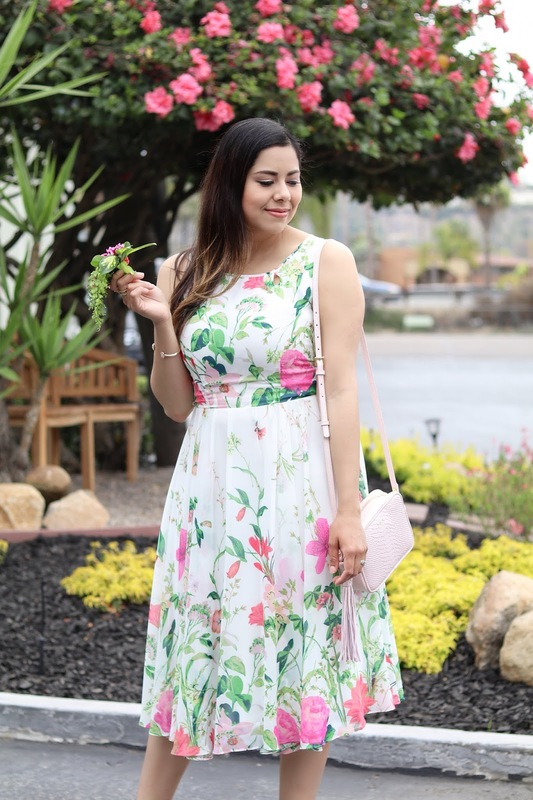 I guess you can say I'm in a floral frenzy because yep, I totally bought another floral dress! 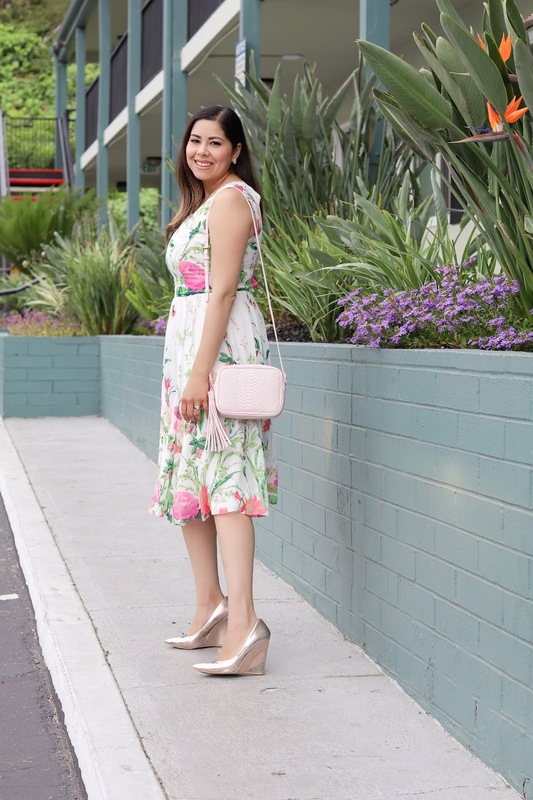 I literally am imposing a no-more floral dress ban from now on because I've gone overboard on the floral dress obsession, but in my defense, they are all different kinds of florals and shapes! 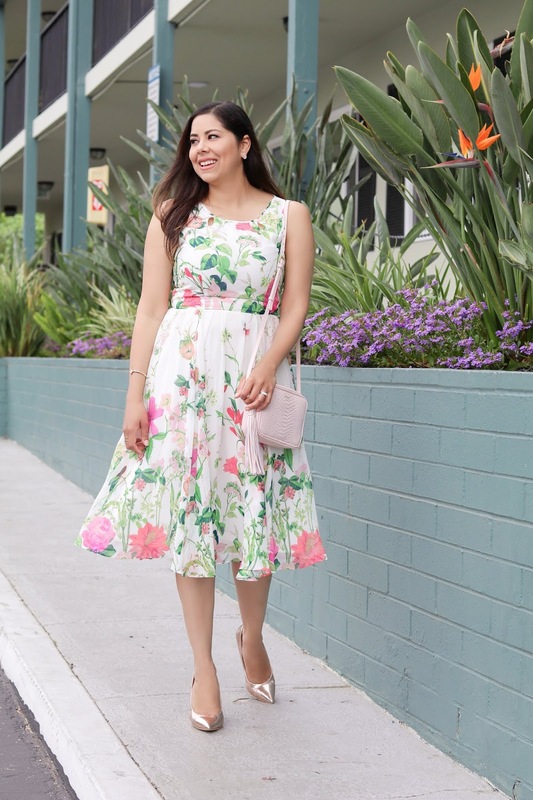 Like this one, it's a beautiful fit-and-flare + midi + vibrant colored print dress, which I don't think I had in my closet yet *wink wink* Plus, it was on sale! I paired it with my new favorite little pink crossbody from Gigi New York which is monogrammed in gold letters! (You have that option too upon purchasing). 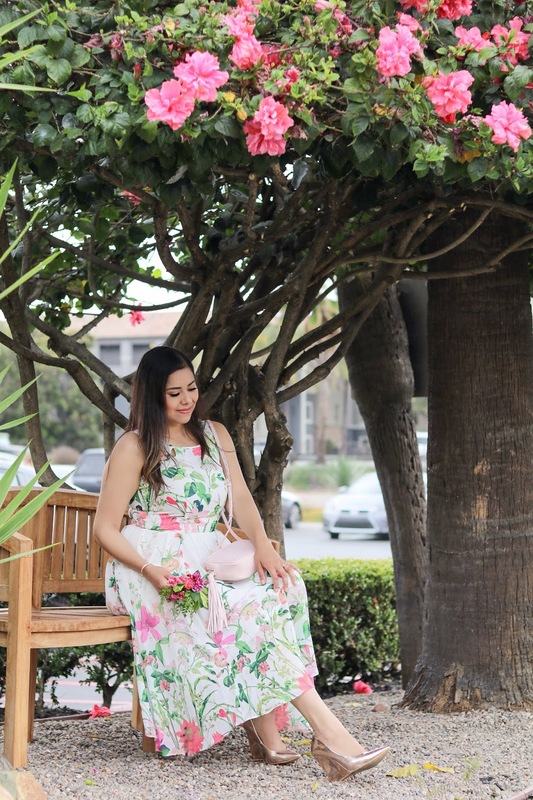 It is the perfect dress for a spring elegant brunch, bridal shower, baby shower or church Sunday! In case you don't follow me on Instagram (please do here!) 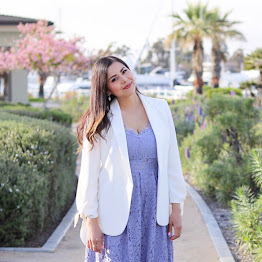 I've been partaking in an Instagram Challenge #30daysofSC with Jasmine Star's Social Curator. I can't remember the last time I was part of an Insta challenge, if ever, but I felt compelled to try something new that would allow everyone to know more about me. I have also simmered down on any sponsored posts because I wanted to have the freedom to post whatever I want (which is the beauty of NOT being a full time blogger), be creative with it and engage to people on a deeper level. I feel like Instagram started to get way too salesy and inauthentic and I wanted to steer my account in a different more personal way. It sounded like many of you like this new direction because I got so much love for this post I did about my husband! It has encouraged me to get more personal on the blog too, so I'm hoping to write more thoughtful content! If you have anything you want me to talk about, please let me know! 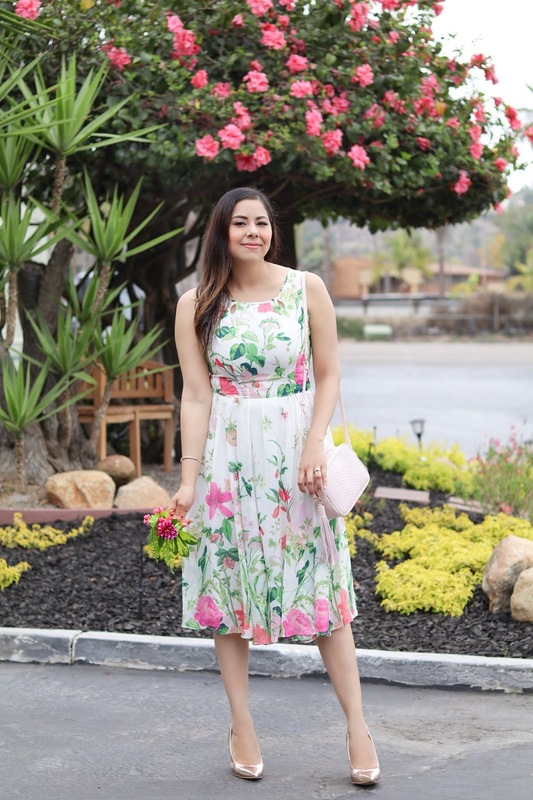 Floral prints look amazing on you! Love this look and those gorgeous shoes. Omg you are so pretty in that dress!